How do we deliver such news and discuss it with older people, many of whom are in diminished health, physically and/or cognitively? How do we deal with the emotional, spiritual and psychological impact of such news, especially when our own emotions are often intertwined with the ones involved in the events? There is no easy way to do it. No one wants to do it. 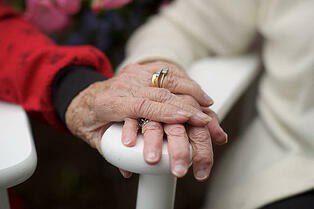 Yet who better to deliver such news than a loved one or trusted caregiver? One of the basic rules in counseling applies here. It is the rule of being a non-anxious presence. 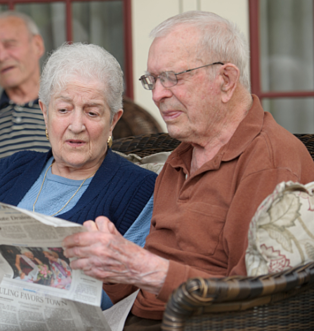 Older adults often respond to bad news according to the means of presentation. If you are overly upset, they likely will be as well. Whatever the news is, the facts are important. They speak to the reality at hand with which the older adult has to deal. Frills and attempts to ‘sugar coat’ the reality often gets in the way of hearing the facts. Do not interpret the meaning of the event. 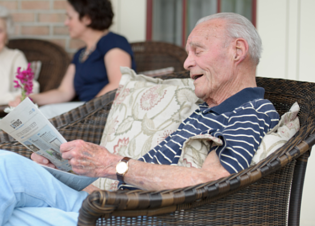 Allow your older loved one to set the agenda for the ensuing conversation. Let her or him express feelings, no matter what they are. Feelings do not need to be corrected. Everyone has a need to be heard with empathy, which is always devoid of judgment. Saying certain things such as: “Don’t feel that way”, “It’s all part of God’s plan”, “It could be so much worse” does not help. They all imply that your loved one is not responding properly. Allow it to be what it is. Trying to explain runs the risk of diminishing its impact, which cannot be explained away. It has to be faced! Far more helpful is the willingness to remain fully with the person as they do their own processing. Your presence is more important than any explanation. Older people, by the mere fact of their age, have already experienced many upsets in their lifetime. They have learned ways to cope with them. Your fear may well be unfounded. What is needed is a physical reminder that you are there for them. Hugging, hand holding, or sharing a tear is far more effective than trying to fix what cannot be fixed. Healing and moving forward is more likely if the person has a companion on the journey – a journey which begins with bad news, but which can end with acceptance, if handled by the caregiver with empathetic concern. In light of the recent tragedy in Newtown, CT and other such events in the past, it is important to make sure that your older loved one not become consumed by the media coverage. This is particularly important if they live alone in their own home. There is a tendency for some older adults to become absorbed by what they see on the television and the internet. Encourage them to have other meaningful diversions during such times. Too much media exposure and not enough outlets to process such sad information can lead to deep depression. Many older adults struggle with ongoing depression and it is important to help keep them from a potential downward spiral. As you help your aging loved ones deal with difficult news and tragedy, know that you are up to the task. You do not need to have answers. No matter what the older person may say he or she needs or wants, what is really needed is someone to understand and love them through the stormy times. This, you can do!